Traditional bridal shower games can be quite overdone. 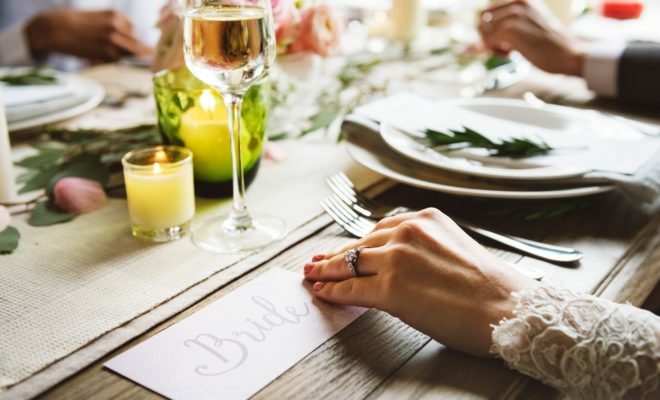 We’ve put together our top 4 bridal shower ideas that will be super helpful for the bride-to-be and also something that she can cherish for a lifetime. Get a friend to hand out a strip of paper to each guest when they arrive. Ask each guest to write the best date night they’ve ever had, or a date night idea on the paper. Each guest can drop their idea into a large mason jar and the married couple can pick one out whenever they want to plan a special evening. When you’re sending out the bridal shower invites, attach a blank card to it, for guests to write their favourite family recipe. To avoid duplicate recipes, give each guest a category (snacks, appetizers, mains and desserts). Each guest will bring their recipe card to the shower to compile them all in cute box. Present it to the bride as a gift. Moms and grans will really appreciate this one. Get a scrapbook and ask all of the married women in the family to fill one page of the book with their best marriage advice for the bride; their favourite memory with the bride and groom and their wishes for the bridal couple. Don’t forget to reach out to the groom’s family as well! You’ll need envelopes and blank cards for this one. Number an envelope for each guest attending the shower. Each guest’s number will represent an anniversary. Ask them to write a happy anniversary note on their card for the bride and groom. Pop them all in a box and let the bride know that they can only open each envelope when they reach the anniversary number on the envelopes!